After a request for help and successful test from my contact in Poland the following methods were used with an HP printer supporting the Latin 2 standard. This option opens up the possibilities to add barcodes with " Polish, Czech, Slovakian, Hungarian and so on" a quote from the note. Note HP printers are required for the language support as the device types are specifically for these printers. Read the note for the supported HP printers. Two methods are covered, first a linking method where the device type contains all postscript code required to generate the barcode. The first method is standalone and requires no additional config to be used with a postscript printer. The second method introduces the postscript code for the barcode at the time of printing via server side configuration. The second method requires SAP parameter changes and application server restarts to pick up this configuration. Adapting this method then the other barcode device types I have created can be linked, such as QRcode, Aztec Code etc. 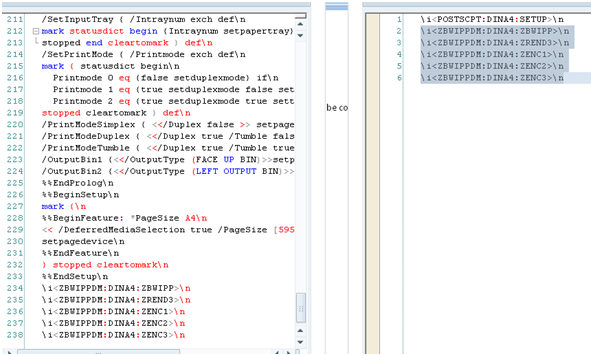 The 5 action pages need to be copies across from ZBWIPPDM to the end of ZI2HPPS printer intialization page. COPY ALL PRINT CONTROLS FROM ZBW01 (not shown in screenshot) all the way to ZUP50. The device type is now ready to be used in SAPscript or SMARTforms. See the youtube videos for more info on this. I have created a Datamatrix linked device type ZI2HPPS that can be downloaded here. The file contains both ZI2HPPS & is linked to ZBWIPPDM and both device types need to be imported. This version merges the BWIPP on the SAP server side. By using standard SAP configuration the BWIPP can be merged into the SAP output stream on the server side. The solution is purely postscript based so the barcode solution can be used by ZI2HP to generate the barcodes and latin 2 script. *the parameter and Dzbwhp file need to be set/copied to all application servers used for printing. 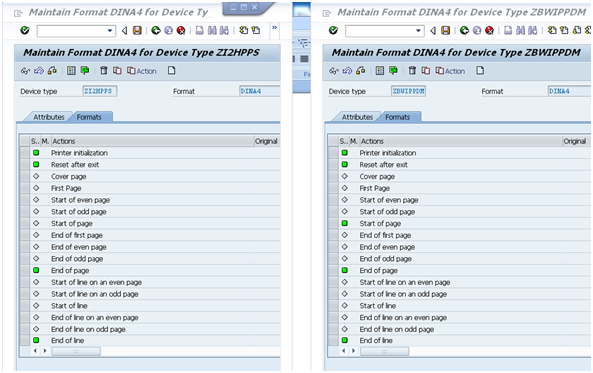 No ABAP report in this download but a simple smartform based on DINA4 device type format. 6) Start Smartforms transaction and import smartform z_26barcode downloaded earlier. 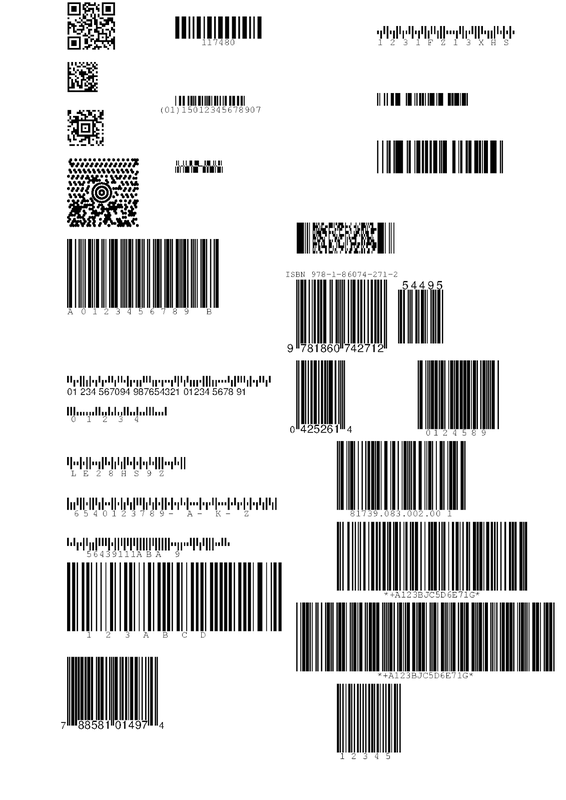 The smartform is ONLY barcodes and contains no LATIN2 characters. Add these characters before printing on the HP printer. The smartoform can be directly tested by executing the "Test/Execute" button. The PDF file HPi2barcodesPDF.pdf was created by using the smartform with the ZBWIPPI2 device type with PDFCREATOR frontend printer on windows.